An Adobe software product used in designing and editing web assets, including web pages, Cascading Style Sheets (CSS), Extensible Markup Language (XML), Hypertext Markup Language (HTML), and other web components. When my wife and I moved to Duvall, Washington, we noticed there were not many local venues for live music. We decided to host a series of concerts in our home, where we could feature some of our favorite area musicians in a friendly setting. It’s been a great way to contribute to our community while promoting something dear to us: music. 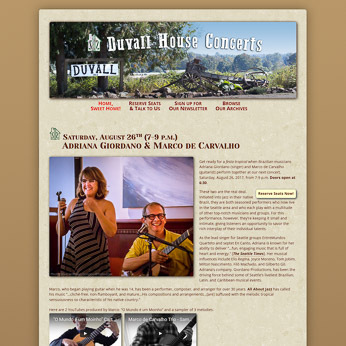 The DuvallHouseConcerts.com website promotes upcoming concerts, accepts seat reservations, displays photos and videos of past concerts, and includes a contact form. This entry was posted in CSS, Dreamweaver, Firebug, HTML, Lightroom, Photography, Photoshop, PHP, Social Media, Website Creation, WordPress, Writing & Editing, YouTube and tagged Photography, Social Media, Website Creation, Writing & Editing on August 7, 2017 by MarcHoffman. 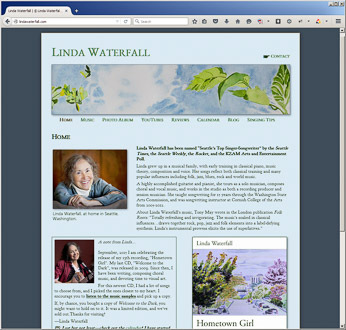 Homepage for LindaWaterfall.com. Click to visit the website. Linda Waterfall is a nationally-acclaimed composer, songwriter, and performer. She first hired me for several promotional photo shoots, then to design two CD packages, and most recently to rebuild her website from the ground up. This entry was posted in Adobe Audition, Audio, Audio-Video, CSS, Dreamweaver, Extensis Suitcase Fusion, Firebug, Formal Writing & Editing, HTML, Lightroom, Microsoft Office, People, Photography, Photoshop, Website Creation, WordPress, Writing & Editing and tagged Website Creation on October 15, 2015 by MarcHoffman. 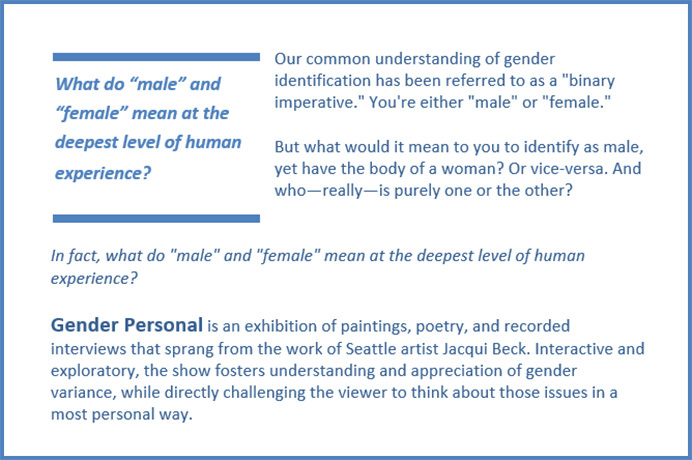 A 124-word description of the Gender Personal project, for grant-writing purposes. Click for a larger, more legible version. This entry was posted in Blogging, CSS, Dreamweaver, Formal Writing & Editing, HTML, MailChimp, Microsoft Office, WordPress, Writing & Editing and tagged Writing & Editing on September 29, 2015 by MarcHoffman. 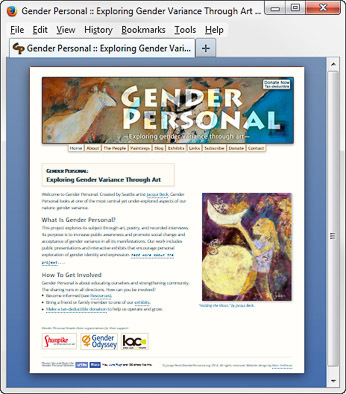 HTML Newsletter for GenderPersonal.org. Click image to read the newsletter. I’m the webmaster and project photographer for GenderPersonal.org, which raises public awareness of gender issues through recorded interviews and original multimedia (paintings, poetry, recorded interviews, and photos). This entry was posted in CSS, Dreamweaver, Firebug, Formal Writing & Editing, HTML, Lightroom, MailChimp, People, Photoshop, Social Media and tagged Social Media on April 23, 2014 by MarcHoffman. The GenderPersonal.org WordPress site. Click to visit the site. 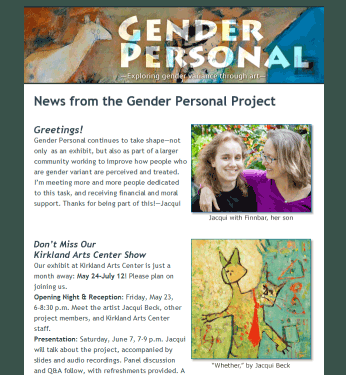 Gender Personal (GenderPersonal.org) is the creation of Seattle artist Jacqui Beck. It’s an exploration and celebration of gender variance. When her teenage child came out as transgender, Jacqui interviewed 8 gender-variant people to learn more. She then turned to her painting and poetry as a means to express what she was learning. This entry was posted in Acrobat, Adobe Audition, Audio, Audio-Video, Blogging, Blogs, CSS, Dreamweaver, Extensis Suitcase Fusion, Facebook, Firebug, Formal Writing & Editing, HTML, HTML Email, Lightroom, MailChimp, PayPal, People, Photography, Photoshop, PHP, Social Media, Tools, Website Creation, WordPress, Writing & Editing and tagged Website Creation on March 21, 2014 by MarcHoffman. 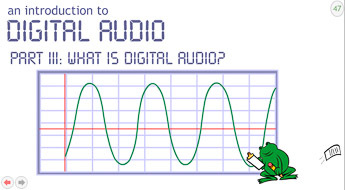 This entry was posted in Adobe Audition, Audio, Audio-Video, Dreamweaver, e-Learning, Flash, HTML, Instructional Design, Photoshop on January 5, 2014 by MarcHoffman. This entry was posted in Acrobat, CSS, Dreamweaver, e-Commerce, E-commerce, Extensis Suitcase Fusion, Facebook, Flash, Flash & Interactive, Formal Writing & Editing, HTML, HTML Email, Lightroom, MailChimp, Photoshop, PHP, Shopatron, Social Media, Tools, Website Creation, Writing & Editing, XML and tagged Website Creation on January 5, 2014 by MarcHoffman. My website client Carolyn Koehnline wanted to give prospective clients a sense of her psychotherapeutic style. 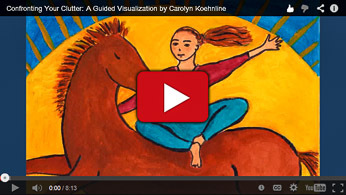 Since she uses guided visualization in her work, I suggested offering one exercise as a video. This entry was posted in Adobe Audition, Audio, Audio-Video, CSS, Dreamweaver, HTML, Lightroom, Photoshop, Premiere, Social Media, Video, WordPress, YouTube and tagged Social Media on January 4, 2014 by MarcHoffman. 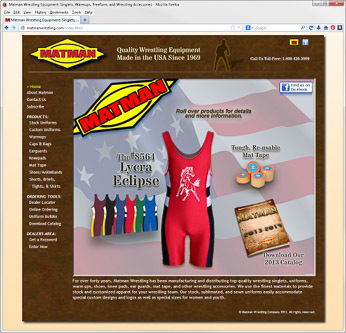 The Matman Wrestling Company’s Uniform Builder. 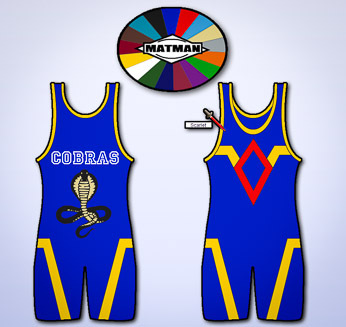 Click to design your own uniform. This entry was posted in CSS, Dreamweaver, e-Commerce, Flash, Flash & Interactive, Formal Writing & Editing, HTML, Shopatron, XML and tagged Flash & Interactive on December 19, 2013 by MarcHoffman. 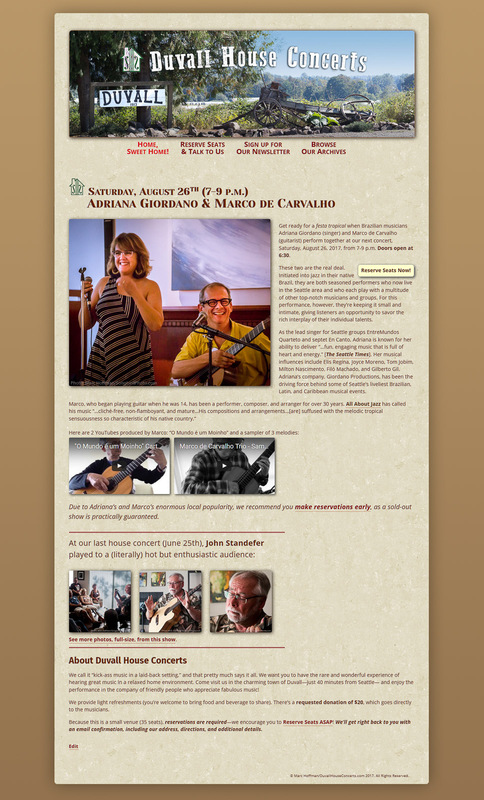 The SongbirdPhoto.com homepage. Click to go there. This entry was posted in Adobe Audition, Blogging, Blogs, CSS, Dreamweaver, e-Commerce, E-commerce, Facebook, Firebug, Flash, Google+, HTML, HTML Email, Lightroom, MailChimp, Nature, PayPal, People, Photoshop, PHP, Pinterest, Premiere, Website Creation, WordPress, XML, YouTube and tagged Website Creation on December 18, 2013 by MarcHoffman. The ConfrontingClutter.com WordPress site. Click to visit the site. 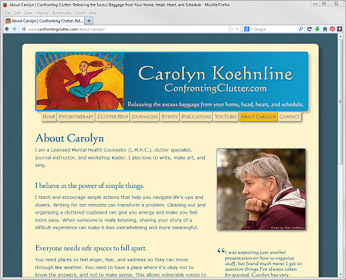 ConfrontingClutter.com is the website of Carolyn Koehnline, a Bellingham psychotherapist who successfully uses a combination of formal psychotherapeutic techniques and creative exercises to help clients clear space for what they want in life. This entry was posted in Adobe Audition, Audio, CSS, Dreamweaver, E-commerce, Firebug, Formal Writing & Editing, HTML, Lightroom, PayPal, People, Photoshop, PHP, Premiere, Video, Website Creation, WordPress, YouTube and tagged Website Creation on December 16, 2013 by MarcHoffman. 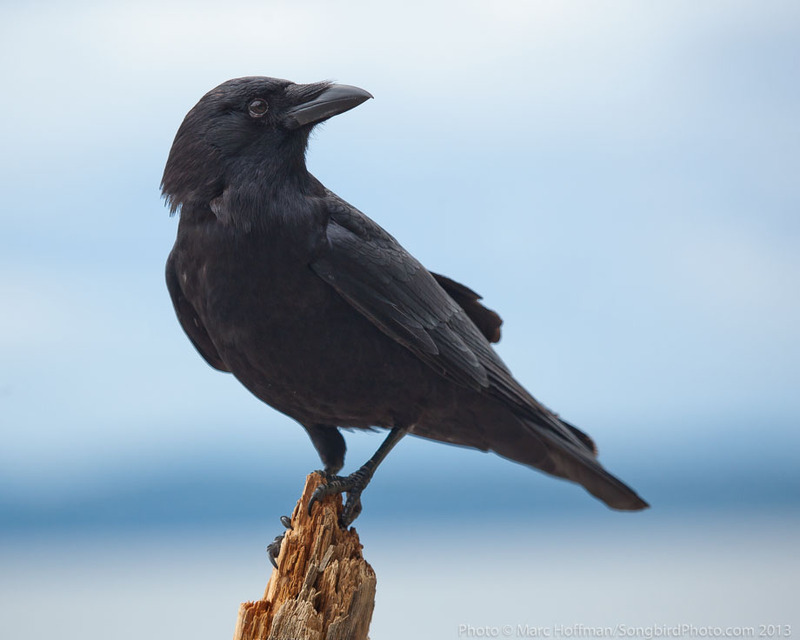 American Crow, photo by M. Hoffman. Click for larger image. 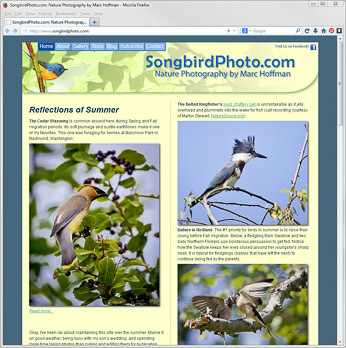 I publish a blog on my photography website, SongbirdPhoto.com. 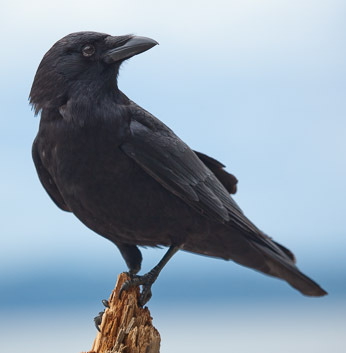 It’s a way to promote and disseminate my work and to help others connect with nature. I usually cross-post a synopsis to Facebook and might post a photo now and then to Pinterest. This entry was posted in Blogging, Blogs, CSS, Dreamweaver, Facebook, Firebug, Formal Writing & Editing, HTML, Lightroom, Nature, Photoshop, PHP, WordPress, Writing & Editing and tagged Writing & Editing on December 10, 2013 by MarcHoffman. 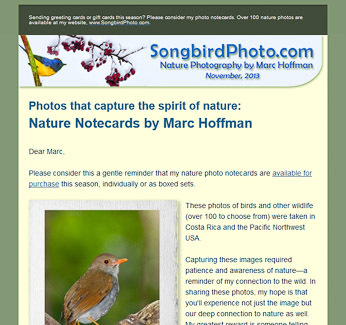 HTML Newsletter for SongbirdPhoto.com. Click image to view at 100%. 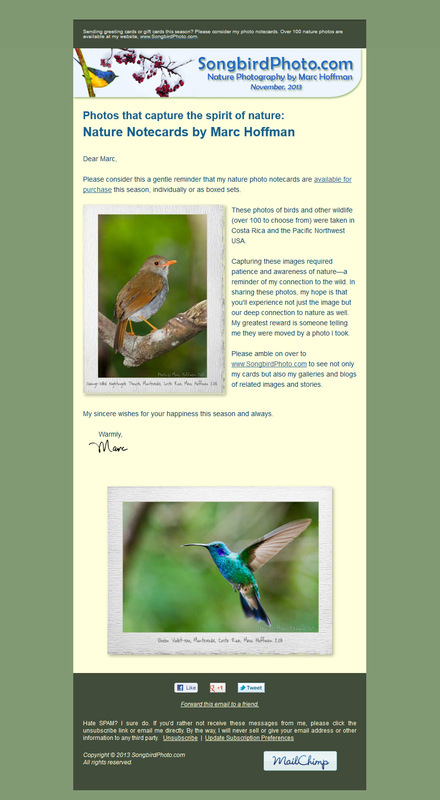 Periodically, I send emails to promote my nature photography. This entry was posted in CSS, Dreamweaver, e-Commerce, Extensis Suitcase Fusion, Formal Writing & Editing, HTML, HTML Email, Lightroom, MailChimp, Nature, PayPal, Photoshop, Social Media and tagged Social Media on December 4, 2013 by MarcHoffman.